Elite Home specializing in exclusive high end furniture, lighting and interior design. Our philosophy is to offer the best design and the most sophisticated product together with an impeccable service to the market at competitive prices. 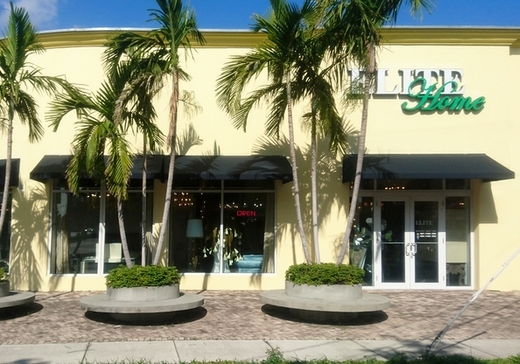 Our showrooms in Miami and New York offer you exclusive furniture from various styles and collections. Our talented and highly professional designers will help you to realize your dreams come true and create unique atmosphere in your home with our luxurious Italian furniture. Every elegant interior needs to be completed with contemporary lighting to have a finished look. We are glad to offer you our lighting collections that will satisfy your unique taste and accentuate the beauty of you home. In our stores in Miami and New York you will find any kind of high end furniture, lighting, doors or any other fine pieces to create an environment that is distinctly your own.